South Delhi Cosmetic Clinic (SDCC) is established in Delhi by Dr.S.K.Chawla. Dr. Chawla is one of the renowned Cosmetic Surgeon in Delhi. 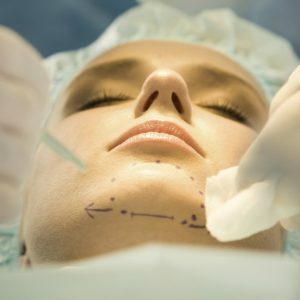 At our clinic we use latest and innovative surgical treatments for cosmetic surgeries that will enhance your beauty. 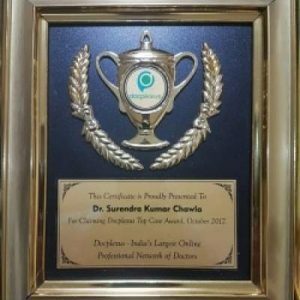 Dr. Surendra Chawla, a well known Cosmetic Surgeon in Delhi, did his super-specialty course in plastic, Burn and Maxillofacial surgery from Safdarjung Hospital in Delhi. Dr. Chawla completed his M.Ch in plastic surgery. Dr. Chawla has established himself as a best Cosmetic Surgeon in Delhi. Dr. Chawla is trained in various Cosmetic procedures of Maxillofacial and craniofacial surgeries. Cosmetic Surgery in Delhi is a specialized branch of Plastic Surgery that is performed to enhance the external appearance of an individual. It is a breakthrough in the modern science which can correct facial defects, enhance body shape by extracting fat from the cells, in order to achieve aesthetically pleasing look. 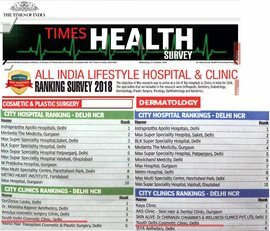 South Delhi Cosmetic Clinic is the most reliable name where sophisticated Cosmetic Procedures like Liposuction Surgery in Delhi, Laser lipo in Delhi, Liposculpture in Delhi, Hair loss treatment in Delhi, Hair Transplantation in Delhi, Rhinoplasty surgery in Delhi, Gynecomastia surgery in Delhi are done by virtue of its state of the art facilities, dedicated team of professionals and a reputed Cosmetic Surgeon in Delhi. Hair transplantation in Delhi is a surgical treatment for treating baldness and patchy hair loss. Hair transplantation requires hair redistribution technique to the bald area or where the density of hair is less. 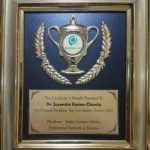 South Delhi Cosmetic Clinic is a reputed Hair Clinic in Delhi where Hair Transplantation is done under the supervision of well recognized Cosmetic Surgeon, Dr. Surendra Chawla. He is an expert professional in conducting hair loss treatment in Delhi, with high success rates. Rhinoplasty in Delhi is a cosmetic surgery that is performed on nose and helps in reshaping the nose. In SDCC, it is done under the meticulous observation of best Rhinoplasty Surgeon in Delhi to obtain the best desired results. 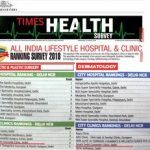 Liposuction in South Delhi Cosmetic Clinic is a type of Cosmetic Surgery that helps in removing the fat content from the body and can help in reshaping your body. Liposculpture in Delhi is the best aesthetic surgery method to get the desired body shape. This is a phenomenal technique which uses Laser Energy to breakdown fat cells and then it is sucked out from the body. Large amount of fat can be removed with Laser Lipo in South Delhi Cosmetic Clinic. Gynecomastia surgery in Delhi or Gynecomastia treatment in Delhi is also referred to as male breast reduction surgery in Delhi that is generally used to reshape the breast by removing the fat tissues from the breast.